In the spirit of their last collaboration, Apartheid and Racism in South African Children's Literature, 1985-1995, Yulisa Amadu Maddy and Donnarae MacCann once again come together to expose the neo-imperialist overtones of contemporary children's fiction about Africa. Examining the portrayal of African social customs, religious philosophies, and political structures in fiction for young people, Maddy and MacCann reveal the Western biases that often infuse stories by well-known Western authors. In the book's introductory section, Maddy and MacCann offer historical information concerning Western notions of Africa as "primitive," and then present background information about the complexity of feminism in Africa and about the ongoing institutionalization of racism. 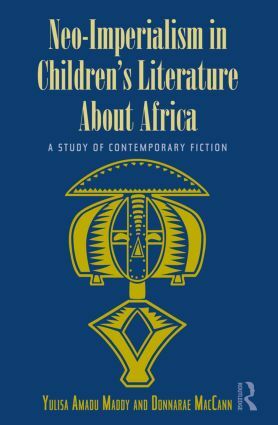 The main body of the study contains critiques of the novels or short stories of eleven well-known writers, including Isabel Allende and Nancy Farmer--all demonstrating that children's literature continues to mis-represent conditions and social relations in Africa. The study concludes with a look at those short stories of Beverley Naidoo which bring insight and historical accuracy to South African conflicts and emerging solutions. Educators, literature professors, publishers, professors of Diaspora and African studies, and students of the mass media will find Maddy and MacCann’s critique of racism in the representation of Africa to be indispensible to students of multicultural literature.